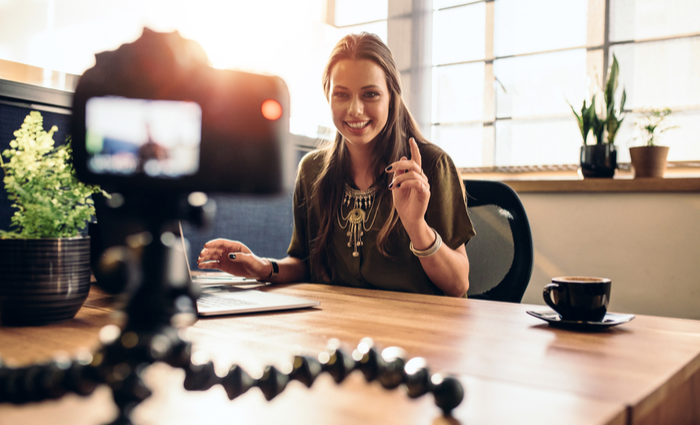 Of course, building a personal brand requires a lot of hard work, once the basics are up and running, such as the website and social media accounts, you will want to start integrating videos as a way to share with a wider audience. Video is and will continue to be the trend overall social media platforms in the years to come. Video is a great way to present yourself to your new followers, it provides a human touch and puts a face to a name, this communicates the tone and sends a clear message about who you are in essence to the person watching. You will want to send a clear original message that comes through to your audience authentically; this adds quality to your content and gives you an identity that separates you from the rest. Sharing your point of view, your opinions and experiences about diverse topics are what vlogging is all about. Whether you choose to review products or to talk about travel, your followers will appreciate you as long as your content is original. The more of your personality that you let shine through, the more valued your videos will be. Sharing video across platforms is as easy as copying a link into your post, this is an excellent way to get likes, shares, and new followers. If you need a little more help with this, Youtube and Vimeo have options that allow you to pay so your video loads automatically after the user is done playing a video they have searched for and watched. Instead of a short commercial, the whole video will play. Paying for banner ads on these sites are another great option. It is becoming more and more popular to use live feeds, webinars, and courses to offer media variety on the web. Depending on what your specialty is or what the most popular topics are for you, these can be good options to reach more clients. Coaching is excellent to go through live stream and provides an opportunity for those who are watching to chime in and engage in the conversation. Consultants and solopreneurs will also benefit from this type of diversity on the web by using video. These can be questions that arise from your existing social media, or they can be questions that are taken from Quora.com or other people’s social media pages. There is an endless supply of questions that need answering, and as people search these questions on google or other search engines, you can reach people in this way all while helping create your personal brand. You can create playlists on related themes, and these will play one after another giving the viewer more of what they want. There are many advantages to using video to build your personal brand. It allows us a lot of flexibility and many options to meet our followers where they are. Undoubtedly, there is much to be done, with some assessment and planning your brand will have its bases covered using video to build your personal brand.